00:00 - What happens to an air bubble in microgravity? What does an air bubble in a blob of water do if you take away the gravity? What happens to an air bubble in microgravity? Adam - In the science fiction film Passengers, Jennifer Lawrence's character, Aurora, has a pretty unnerving experience. While she's swimming in the spaceship swimming pool, the gravity cuts out and thousands of gallons of water rise up with her still trapped inside it. But what if instead of an acclaimed actress, it was a bubble of air instead? 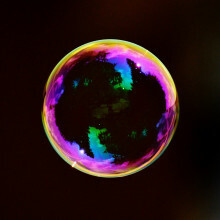 Stuart - We’re used to bubbles rising to the surface of a volume of water. On Earth, an air bubble at the bottom of a swimming pool experiences an upward buoyant force thanks to the fluid pressure of the water around it. This fluid pressure is caused by gravity pulling down on the water and depends on the height of all the other water above it. So the parts of the bubble nearest the bottom of the pool experiences a greater force than the part near the top. This creates an unbalanced upward force. Air is less dense than water so the gravitational force pulling the bubble down is less than the buoyant force pushing it up and the bubble rises. 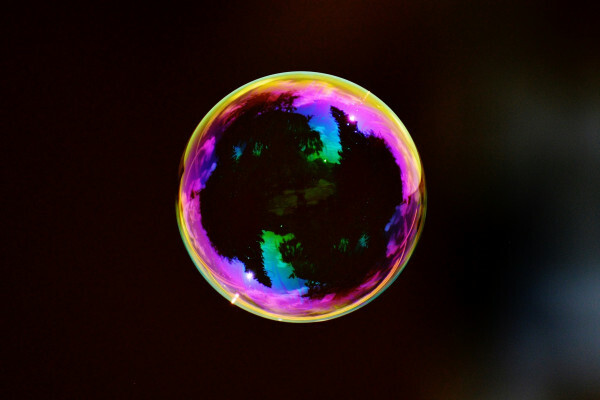 In a weightless environment, where the effects of gravity aren't felt, there's no overall buoyant force to make the bubble rise to the surface. It just sits in the water. Adam - But that is that the whole story? David Kinahan, researcher in micro-fluidics from Dublin City University, had a little more to add about why this happens. David - There are two things to think about here; the gravity force acting on the water and the surface tension force acting on the water. Engineers figure out which is strongest by calculating a ratio called the Bond Number and it isn't 007. Adam - If gravity is 0, the bond number is 0, and surface tension, which is what makes water pull together into droplets on a windshield, is all that matters. Adam - So there you have it, sorry to burst anyone's bubble. Next week, we're keeping things bubbly with this question from William. William - When a bar of soap gets used a lot and gets smaller, it seems to struggle to form suds properly. Is something other than just a smaller surface area going on? Can we drink water from other planets? Next Why do I appear upside down in a spoon?